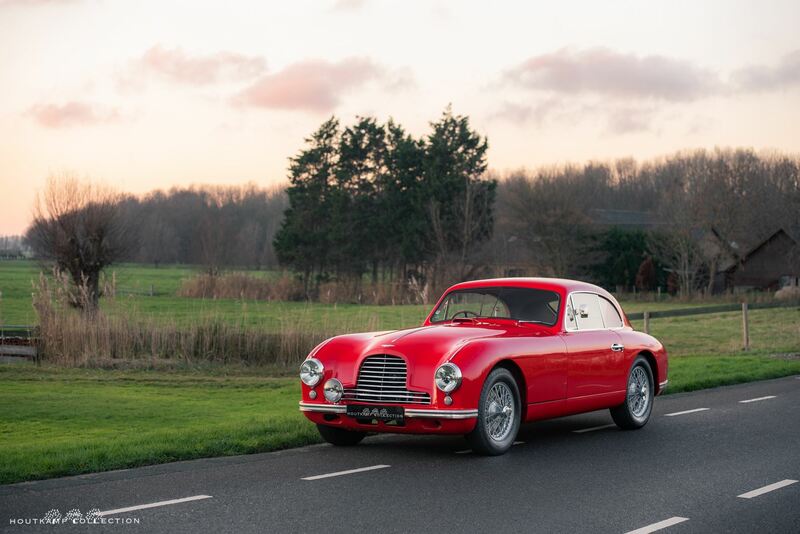 David Brown launched the DB2 in 1950 as his first real sports car. 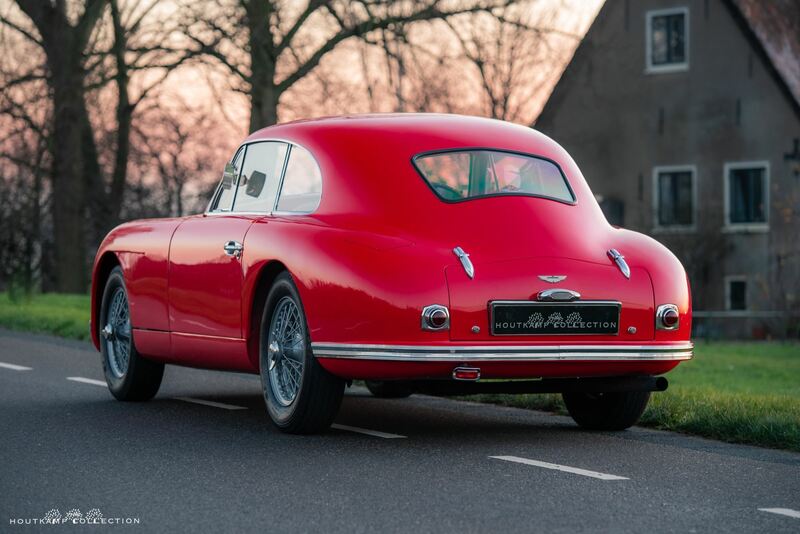 The Aston Martin DB2 has been produced from May 1950 till April 1953. 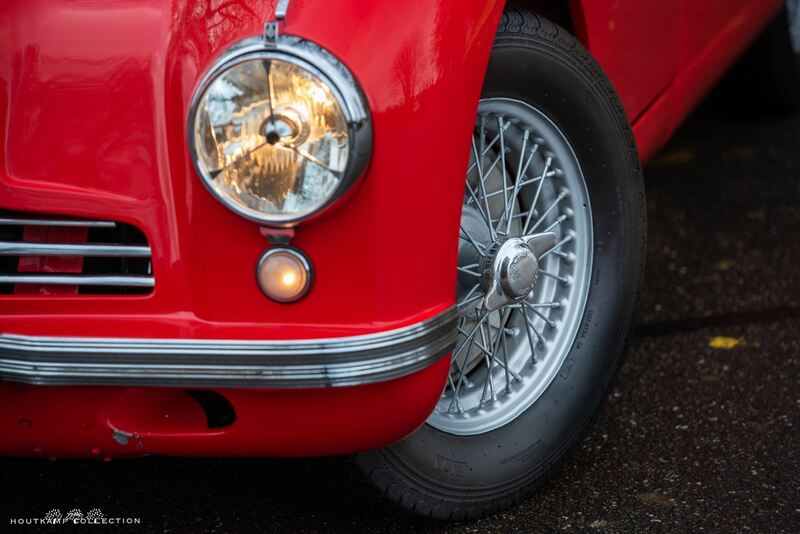 The impressive lines of the car were designed by ex-Lagonda designer Frank Feeley. Impressive because if you take some time to look at the back of the car it is very impressive to see how the lines of this car are made. Definitely if you keep in mind that these cars were produced in the 1950’s. 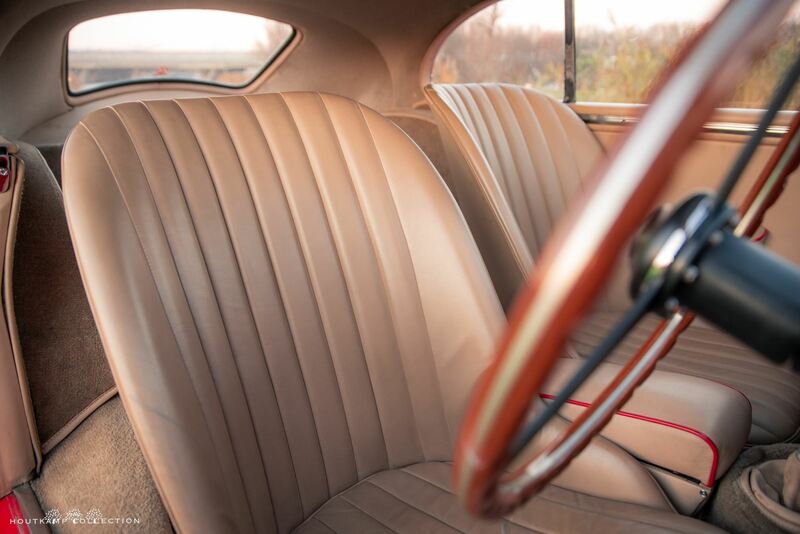 A total of 308 coupes like this example are made in between 1950 and 1953. The DB2 production engine which is in this car was borrowed from David Browns other car company, Lagonda. It is a 2.6-litre, twin cam six-cylinder designed by W.O. Bentley. 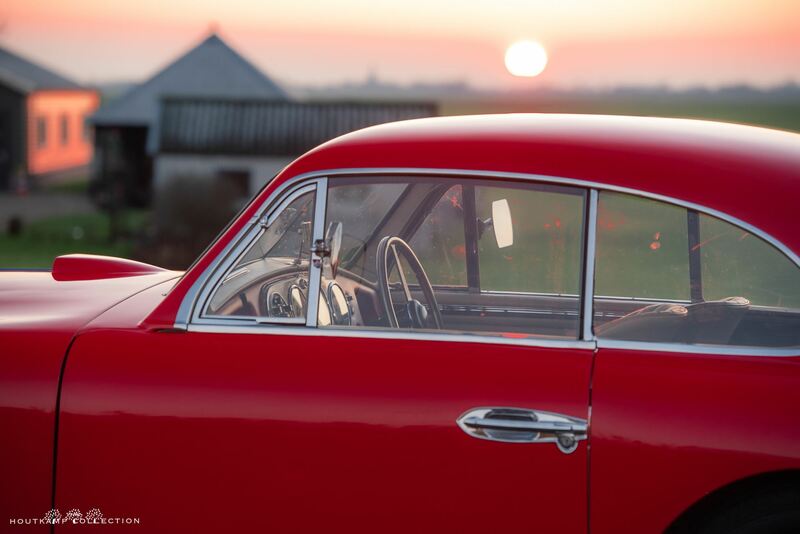 We have had quite a lot Aston Martin DB2s in our life. After approximately 90 DB2 and DB2/4s we think that we can separate the nice examples from the less nice examples. This specific red colored example has already a Houtkamp history. 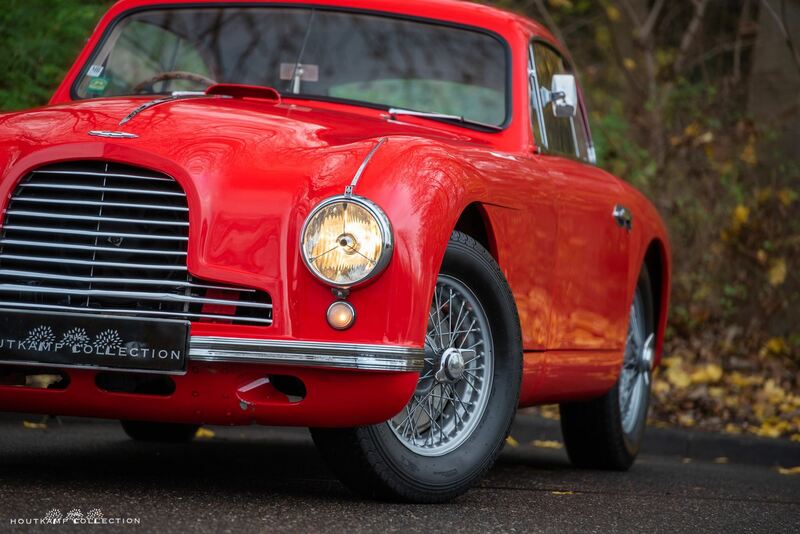 We bought this Aston Martin in 2011 as it was absolute the most amazing restored DB2 we had ever seen. 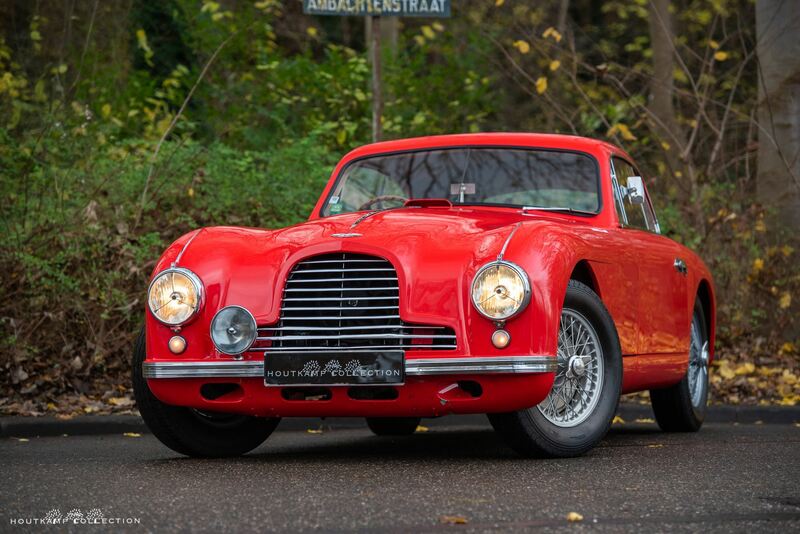 We bought the car from DB2 parts specialist Martin Cheetham who owned at the time 2 DB2’s. This car and a racer. With both cars he wanted to show his ability and knowledge about DB2’s. 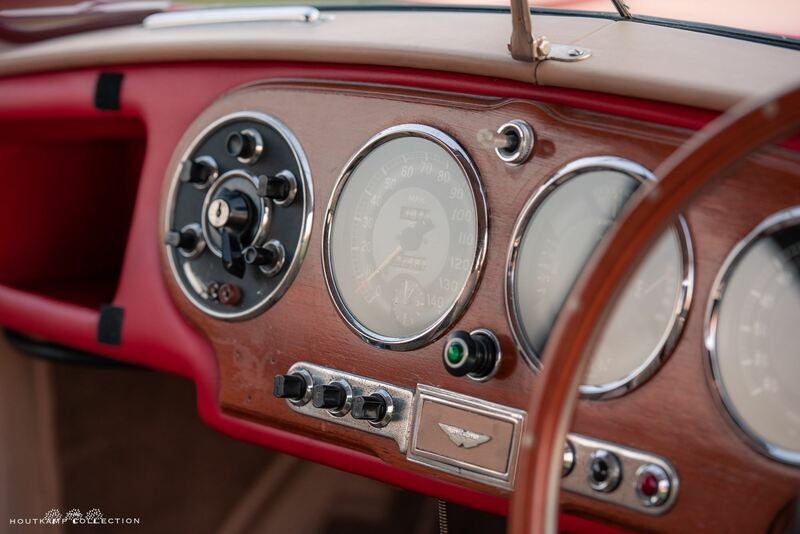 The race car was incredibly prepared and indeed the fastest ever DB2. 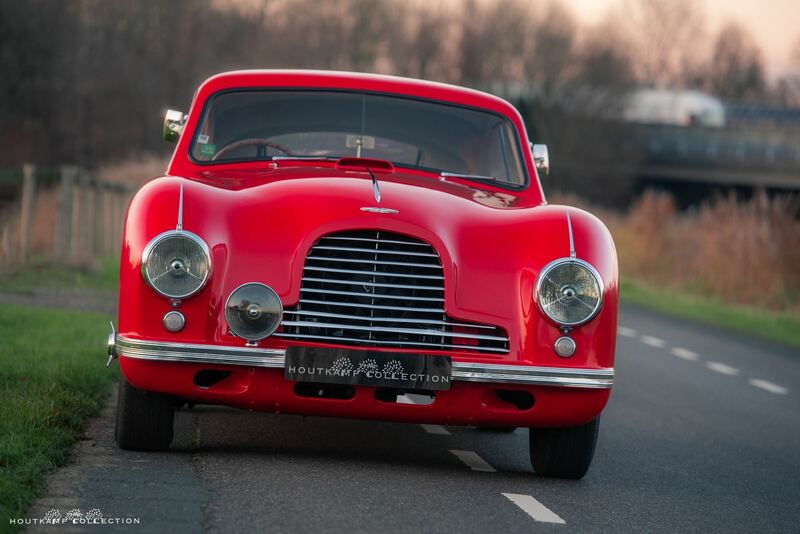 This car was made as a concours car and indeed it was the nicest DB2 we had ever seen. Every single part was period correct restored on an extremely high level. Most probably the car was much nicer detailed as it was ever newly delivered but it was an amazing car. My father had the car in his own collection but decided to sell the Aston to a Belgium gentlemen. This gentlemen is a driver. He uses the cars in his collection to drive and also this over the top restored DB2 had to be seriously used. 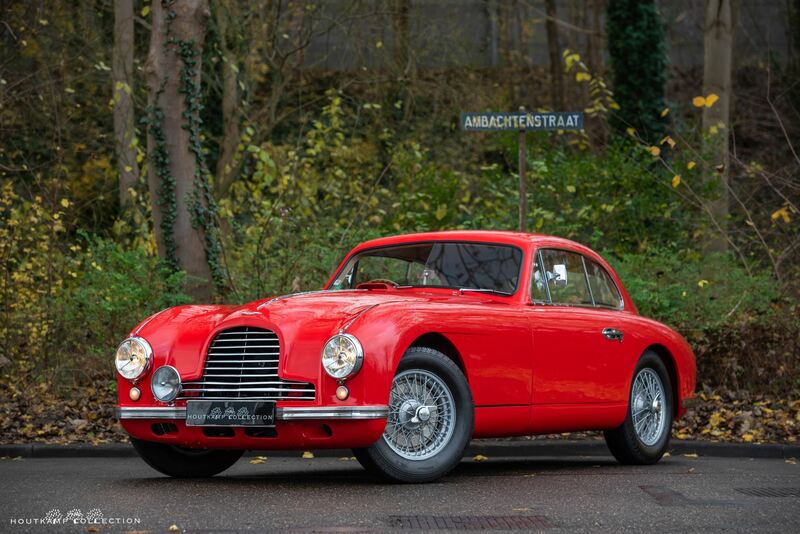 Unfortunately a mint restored car is not always a superb driving example and therefore he brought the car to a specialist which we know as the absolute best DB2 mechanic. A gentlemen who has every single part on stock and get a DB2 better driving as a Jaguar XK. 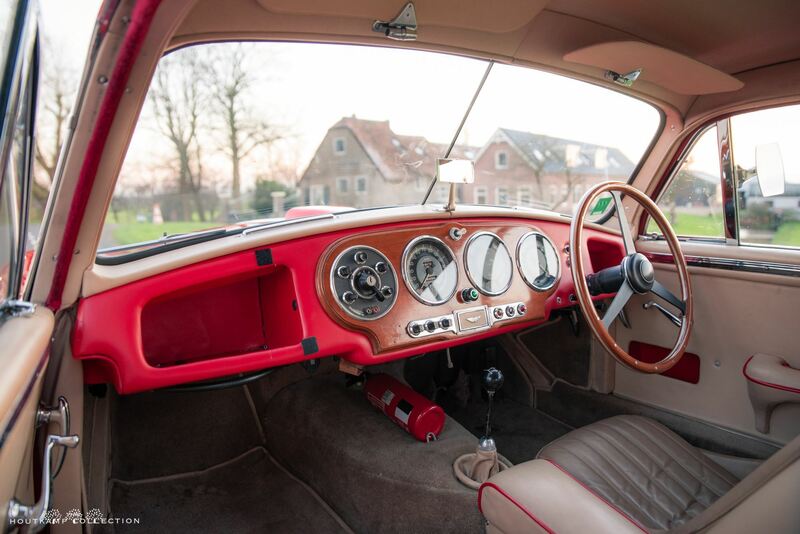 Another € 60.000,- was spend to make it amongst the nicest looking also the best driving DB2. The gentlemen used the Aston on a regular base and everytime something was needed it was done immediately. After 5 years of ownership the former owner decided to sell 2 cars of his collection including this Aston Martin and we are very thankful that we could buy the Aston back. The Aston has been used and although it has been used carefully one can see some signs of use. Honestly we like it more then when the car was just finished from restoration. The important details such as the perfect fittings are off-off-course still the same. The color and paint are very nice and the chrome is also in a beautiful condition. The grey painted wheels are in as new condition. The chrome parts such as the grille and bumper surrounding are in a beautiful condition. 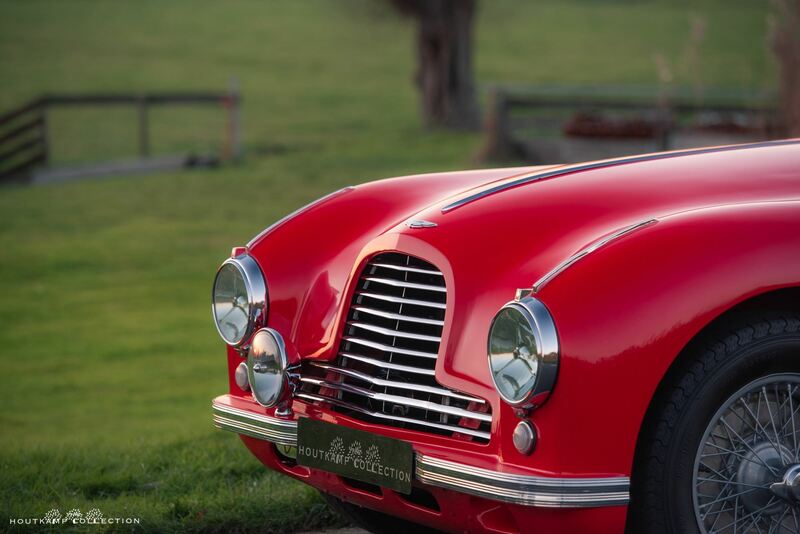 One can easily see that this DB2 is one of a kind. 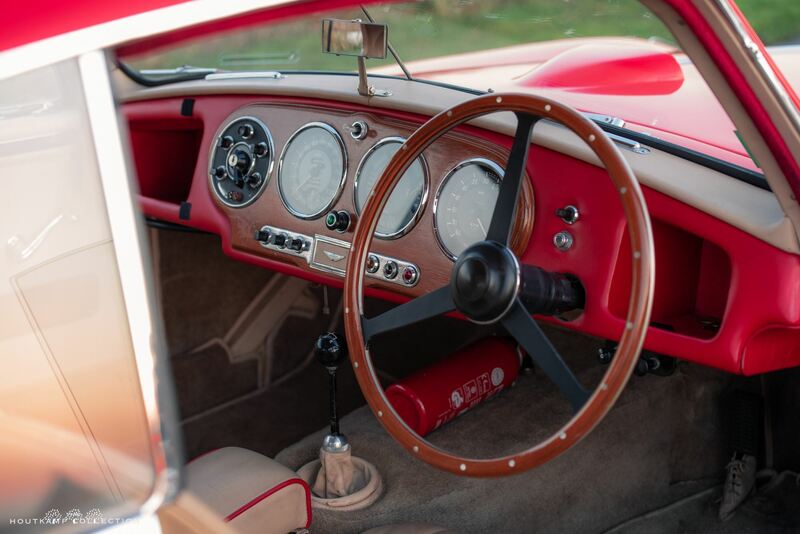 A car which has been amazingly restored in the past and carefully used afterwards. The interior of the Aston is very nice. 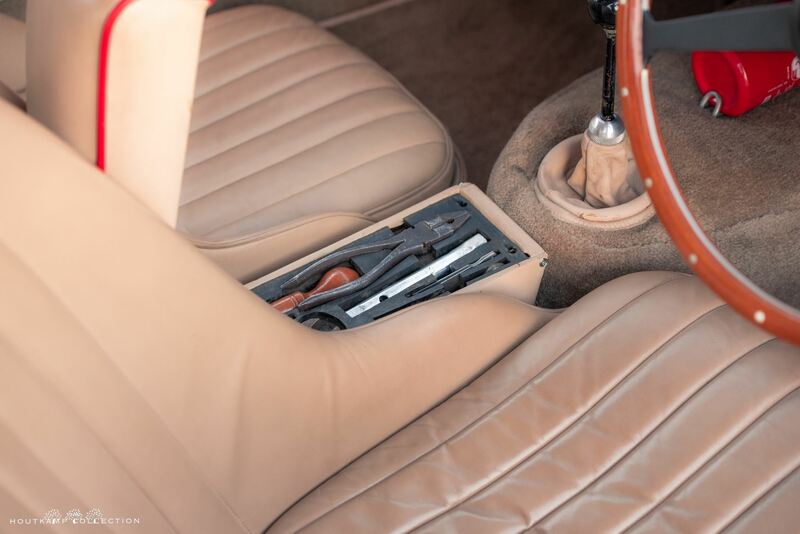 The seat are in a very nice condition due toe the fact that the owner decided to install bucket seats. Therefore the original seats have not been used regularly and they are in as new condition. All meters on the dashboard are in a perfect functioning order. The materials used are all period correct such as the carpet, the leather and the inner roof. 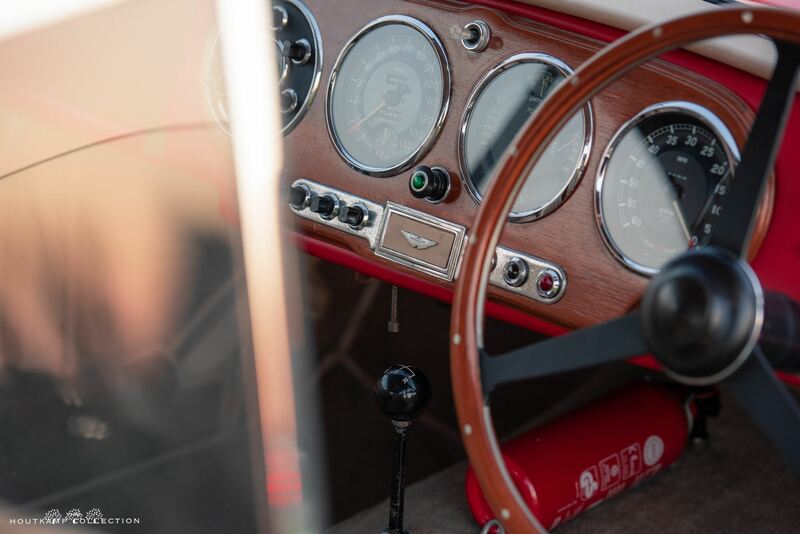 When the key of the Aston is turned, the engine starts easily and it become immediately clear that the engine is running very strong. 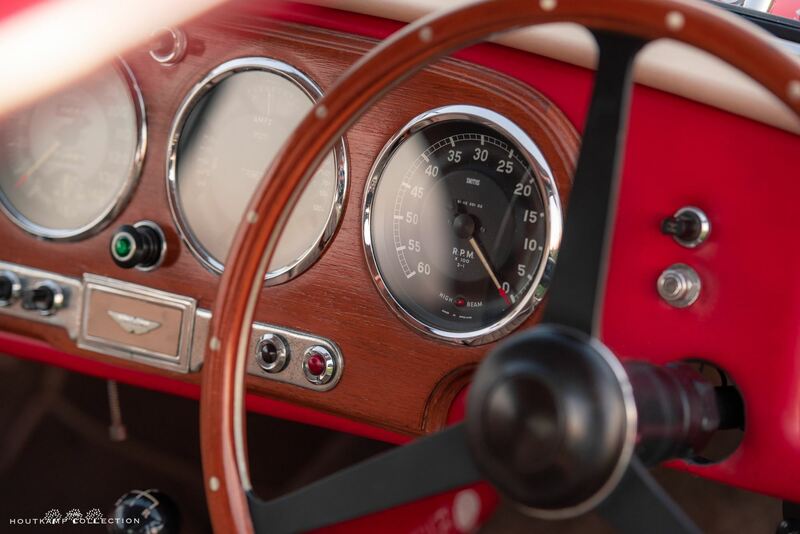 The entire car feels slightly different as most DB2’s because it has been seriously prepared by 2 top class Aston Martin DB2 specialists. 1 for the looks and 1 for the technical aspects. The result is off-course the best one can have. The brakes are excellent as well. If one drives this car it becomes clear that a lot of money has been spend on the Aston.